This is my first ever review on SmarterSpend and it came about rather spontaneously. Today, I saw a documentary about advertising and marketing that really got me thinking about the mentality behind businesses today in the United States. 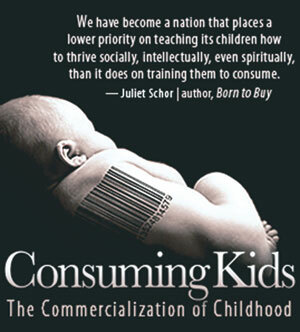 The name of the documentary is “Consuming Kids: The Commercialization of Childhood” and brings to light the very troubling tactics employed by huge corporations to market their products to young children. During a recession, where jobs are scarce and unemployment is high, extra money is something most people can look forward to earning. Besides the conventional jobs, there are many things you can do that can earn some money. Ever since high school, I have been making great money without having a regular job. I have been resourceful, doing research on what kinds of jobs and services are in demand, and doing freestyle work. I currently web design part -time and do some tutoring for most of my money.